Growing email lists increases your chances of securing better leads and more sales. Email marketing is a great way to help you sell products, get more traffic and build your business. In fact, according to Monetate, email marketing has a higher conversion rate than search marketing and social media marketing put together. Growing email lists with email marketing can help your sales flourish. If one of your goals for the next year is to grow your email list, these tips can help you get more subscribers so you can bolster your email marketing campaigns and be even more successful. Simple subscription forms that don’t ask for too much information are more effective than long, complicated forms. Make your form easy to fill out and don’t scare away potential subscribers by asking for too much personal information. Use colours, design and shapes to draw attention to your form and put it somewhere where your market can’t miss it. Growing email lists won’t work unless you give people a simple, yet eye-catching way to subscribe. A very common way to gather email addresses is to offer a free sample when people submit their email address. The kind of sample you offer will depend on your business, but some common freebies include ebooks, design files, webinars, videos or white papers. Make sure your free sample is something that will attract and interest your market. Invite current customers to subscribe. 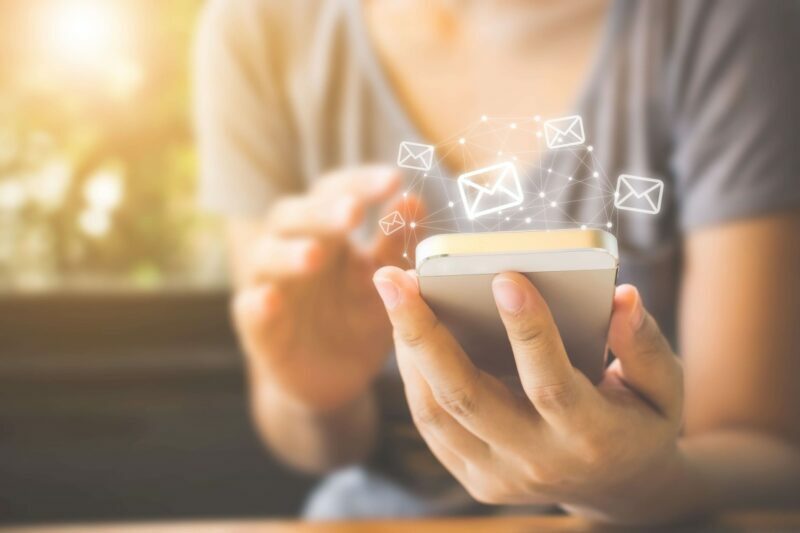 As you work to build your email list, it’s easy to forget about your current customers, but these people might be among the most likely to want to receive updates from your business. Invite your customers to join your list through email, a blog post, social media or by using a kiosk at your business location. Provide relevant and valuable content. Provide valuable content on your blog, or anywhere else, that your market will want to get more of. When people recognise that you have some value to offer and that they don’t want to miss your content, they will want to subscribe to your list. Offer something special to subscribers. Another great way to build your list is to offer something special, like different content, discounts, sneak peeks for new products, or early access, to people who subscribe. Make sure you advertise these benefits so people want to join your list. Link to your opt-in form from other sites. Advertise your subscription form on other websites so you can target new audiences and make it more likely that your market will find and fill out your form. Share your link through social media, add it to your biography when you submit guest blog posts or share it through advertisements. Host a giveaway that interests your market. Giveaways are a great way to capture peoples’ attention, and when you use a giveaway to collect email addresses, you can build your list. You can either make this a one-time project or you can offer a monthly giveaway to one of your subscribers, encouraging people to sign up. Leverage other forms and site interactions. If there are other places on your website where visitors enter their email address, add a check box people can click if they want to opt in to receive your emails. This is a very simple way to get more email subscribers, since people who are already interacting with your site may be more likely to want to receive updates. It also requires very little work so it’s easy for people to sign up. As you start the new year, use these tips to help you build your email marketing list so you can use it to promote your business and supplement other marketing plans. Growing email lists can also grow your success. By taking these tips on board, growing email lists for your business through email marketing should be both simple and effective. For expert advice on how to implement these tips, why not give our marketers at Bigfoot Digital a call? We’re a full-service digital marketing agency who are committed to bringing you the very best service. Give us a call on 01226 720755 or email us at enquiries@bigfootdigital.co.uk.